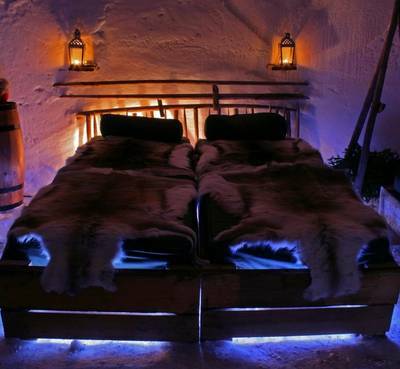 Approximately 10 minutes from Ruka Centre sits Iisakki Village and their snow igloos for an authentic way to complete your winter adventure. This time-honoured design ensures that you’re protected from the outside elements and the inside temperature remains at -5C. 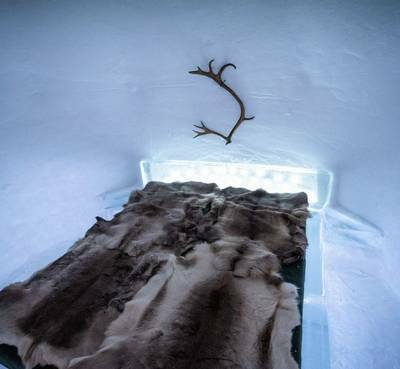 Though this is colder than your typical hotel room, you’ll stay warm with your military grade sleeping bag and insulating reindeer hides. Meals are served in the restaurant so you can enjoy the delicious local delicacies before retiring to your igloo for a truly memorable stay.